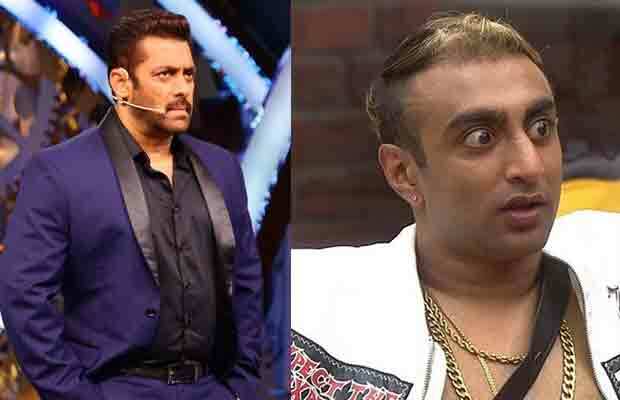 Bigg Boss 11: Akash Dadlani Wants To Leave Salman Khan's House, Here's Why! Bigg Boss 11: Akash Dadlani Wants To Leave Salman Khan’s House, Here’s Why! Akash Dadlani has stood for him since day one and that he cannot do this. Bigg Boss 11 contestant Akash Dadlani has ruined the peace of the house and tonight’s episode is going to be like never before. Vikas Gupta, Puneesh Sharma and Shilpa Shinde discussed that how Akash should be convinced to be out of this captaincy fight. Initially, Puneesh denies doing so and says that Akash has stood for him since day one and that he cannot do this. Puneesh doesn’t seem to willingly do this but he gets convinced eventually and sprays paint on Akash Dadlani’s cut-out. Akash feels cheated and goes totally made. He feels cheated by all. As shown in Bigg Boss 11 Extra Dose, Akash Dadlani keeps shouting at the top of his voice about how he does not like to stay in the house anymore. Akash has also isolated himself from everyone in the house. He has made his bed outside in the living area, which is against the rule of the show. Hiten asks him to sleep inside the room but Akash replies him saying he will do what he wants to. Hiten then asks him to speak in Hindi. However, he avoids listening to him and replies that he is here to break the rules. Further adding that if he needs to leave the show for the same, he is ready to as these are his tactics in order to get out of the show. Meanwhile, as earlier we exclusively revealed, Vikas Gupta, Shilpa Shinde, Arshi Khan, Hiten Tejwani and Akash Dadlani became the five contenders for the captaincy task. For the task, the cut-outs of the five contestants were placed in the garden area. Four times during the day, the gong will ring. After every gong one of the housemates had to reach the platform having a red mark. The one, who reaches first there, gets a chance to spray paint on the cut out of the contender that they don’t want to see as the captain of the house. Finally, Hiten Tejwani becomes the new captain of the house after Bandgi Kalra. Yes, Hiten is the new captain. What do you have to say about this? Share your views in the comments section below. Read here to know below: Exclusive Bigg Boss 11: The New CAPTAIN Of The House Is! Stay tuned to Business Of Cinema.com for more updates in Bigg Boss 11! Previous articleJacqueline Fernandez In A Punjabi Music Video? Next articleDeepika Padukone To Replace Priyanka Chopra In Don 3?